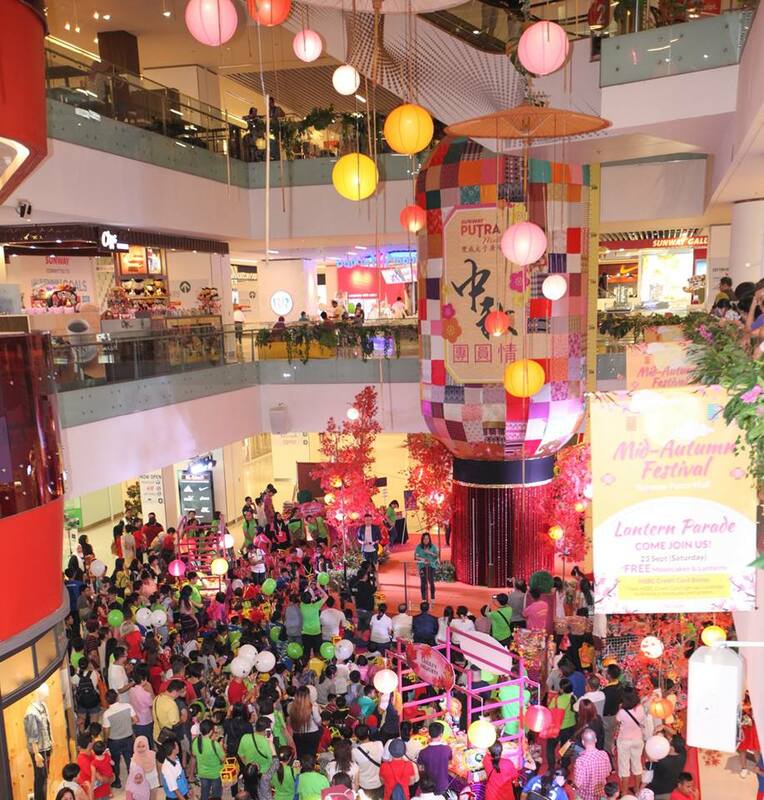 Sunway Putra Mall gathers nearly 1000 people at the Lantern Parade in conjunction with the Mid-Autumn Festival. Welcoming visitors with lanterns decorated around the mall and a gigantic Lantern made out of recycled fabrics, children all appeared in high spirits and can be seen roaming around with variety of shapes and colours of lanterns. The mall creates this platform to promote racial harmony, as well as to promote recycling. To illuminate the celebration further, there will be a Lantern Parade. Public and kids from two charitable homes; Yayasan Chow Kit (YCK) and Touching Lives Club Kuala Lumpur & Selangor (TLC) will be joining to make it a memorable occasion. The lantern parade will flag off from the Main Entrance and towards Kenny Hills and it will be led by the Dragon Troupe, Moon Fairies and mascots from The Parenthood and Mr DIY. Ms Phang Sau Lian, General Manager of Sunway Putra Mall, together with Data' Tan Chao Teck, Vice President of Touching Lives Club Kuala Lumpur and Selangor (TLC) and Organizing Chairman of Mid-Autumn Festival will also be joining the parade. "This is a reunion that expresses happiness and joy. We love to encourage our shoppers to get in touch with different festive and culture, and today we can see, it attracts not only the interest of locals but also international visitors." 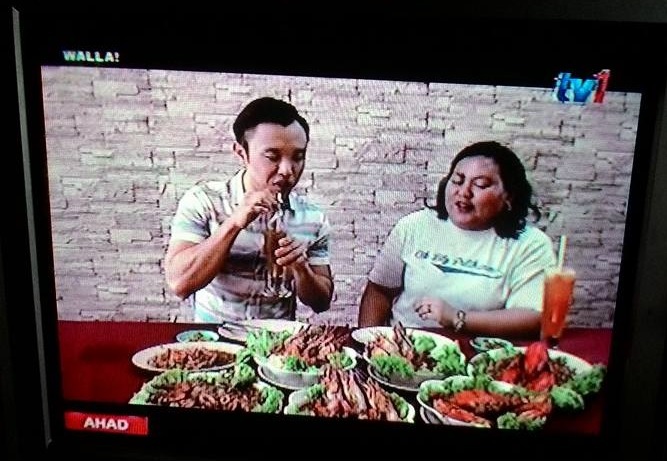 says Ms Phang. 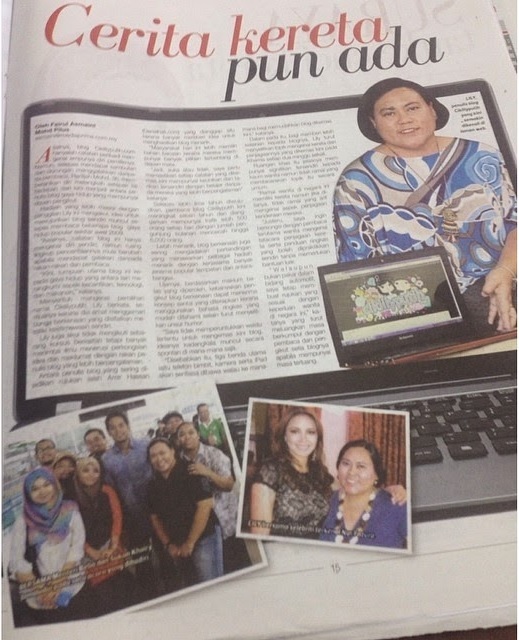 Data' Tan is glad that the initiative to gather public and other races together as one came to reality. "We thank the public for being part of this gathering and it's very meaningful to us." said Data' Tan. The underprivileged children aged between 7 to 12 years old were earlier treated to hone their artistic skills on mooncake and lantern making workshop organized by TLC followed by a dinner treat at Selera Street. 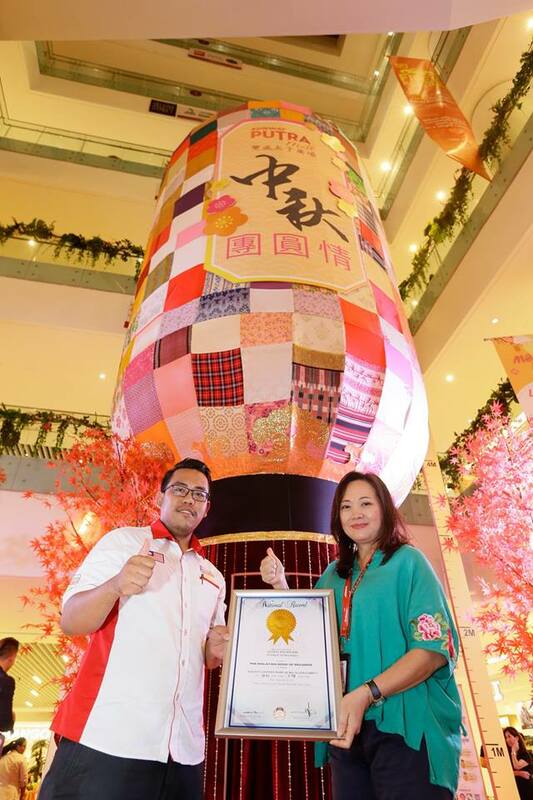 Just before the Lantern Parade begins, Sunway Putra Mall made into the Malaysia Book of Records for building the Tallest Lantern Made of Recycled Fabrics under the Arts and Entertainment category. The over 1OM tall and 3M width lantern is displayed at the Main Concourse until 4 October 2017. 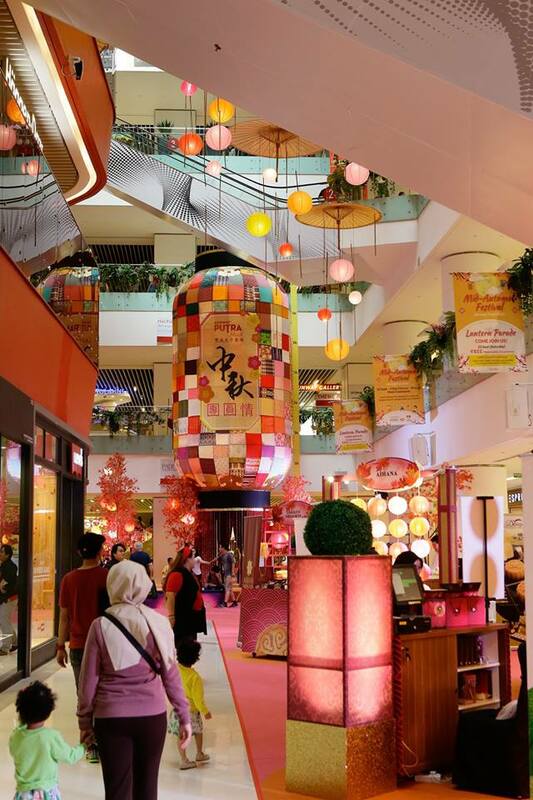 The lantern which was put together by the International University of Malaya Wales (IUMW) students and Kloth Cares, was inspired by patchwork designs and it resembles Malaysia's multicultural community. The lantern is surrounded with different type of recycled fabrics and the interior is filled with hundreds of warm coloured lanterns. "This time around, together with Kloths Cares, we have gathered clothes donated by the public and recycle it to decorate our Lantern. College students were also part of this initiative where they have contributed their time and skills to complete the lantern. 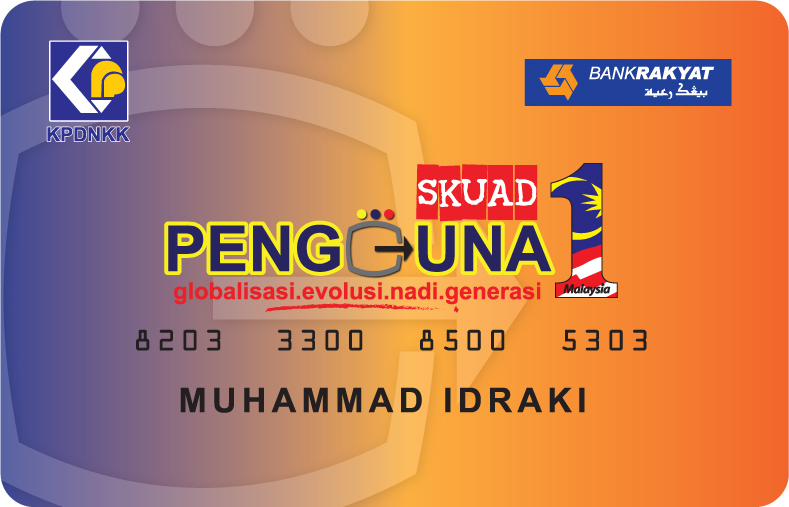 This is one of our effort to promote the importance of recycling" added Phang. To savour an assortment mooncakes and other delicacies, there will be array of offerings from Cold Storage, Haagen-Dazs, BreadStory, D'King, Aihana, Lolili's Delights, Wing Heong BBQ Meat, Fai Fong Bakery and Two Pineapples. As for colorful and vibrant lanterns, look out for Pro A Lantern. Besides that, an interesting themed workshops are lined-up such as Mooncake Making, Lantern Painting and Lantern Making for shoppers during the weekends.